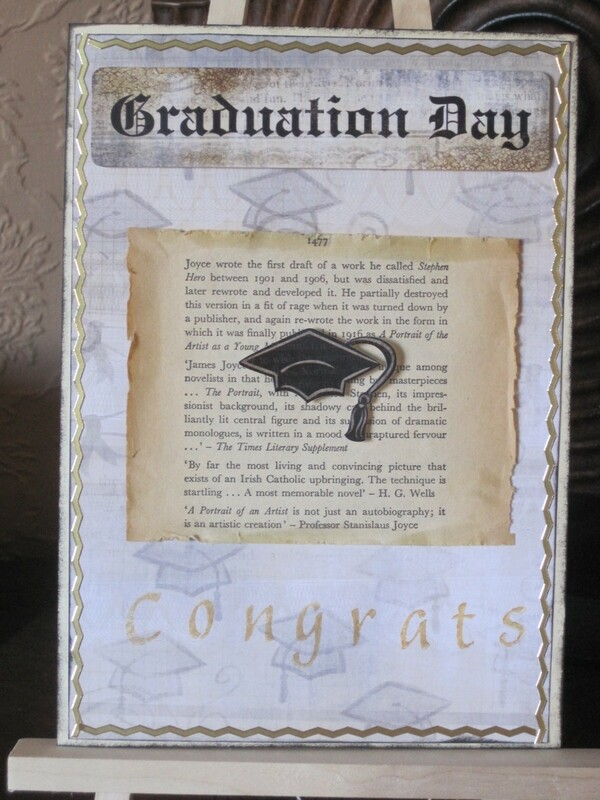 This is a quick Graducaiton card I made fora work colleague with Karen Fosters Graduation patterned paper and cardstock stickers. 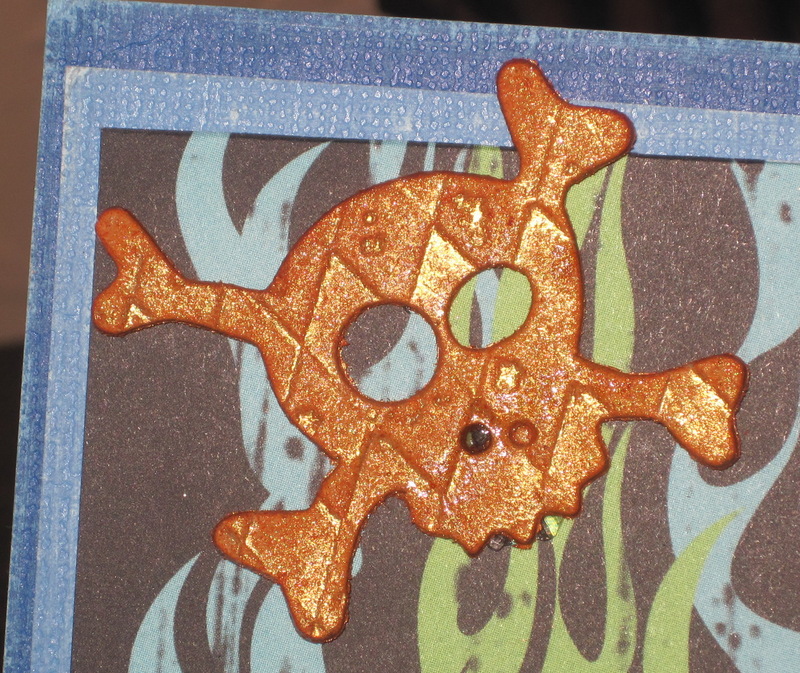 I also used a page from an old book, cream base cardstock and gold border peel offs. I have been itching to use this Karen Foster kit for ages but nobody until now has graduated. I would so chuffed to finally get a chance. 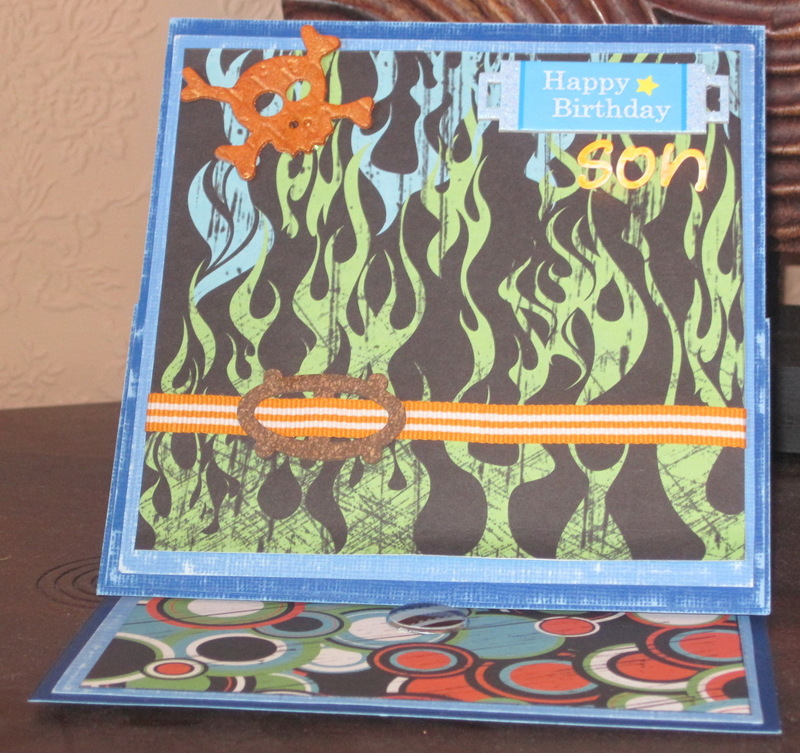 This is the card I made for my husbands birthday recently. 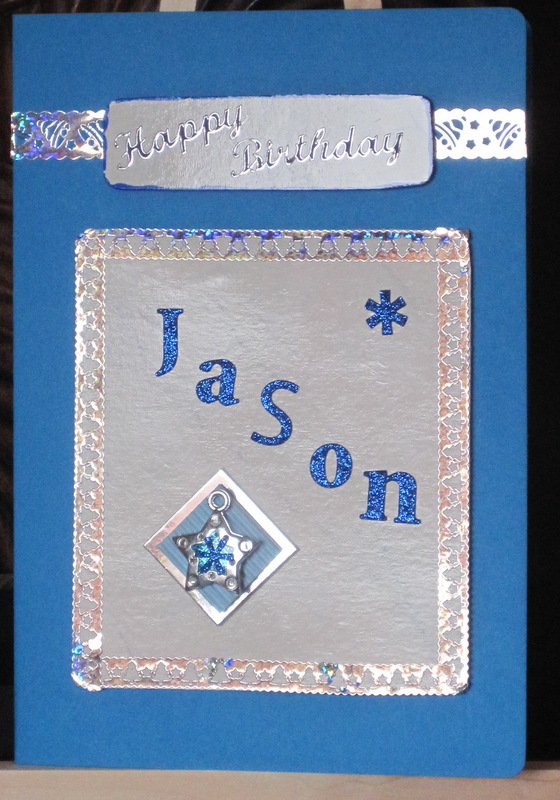 He is not one for showy or bright cards so I decided ot use kraft card as a base and added Basic Grey carstock stickers to the base, along with some strips of ribbon and a little bit of bling in the shape of stars. Simple. This is one in a series of cards I made one afternoon. 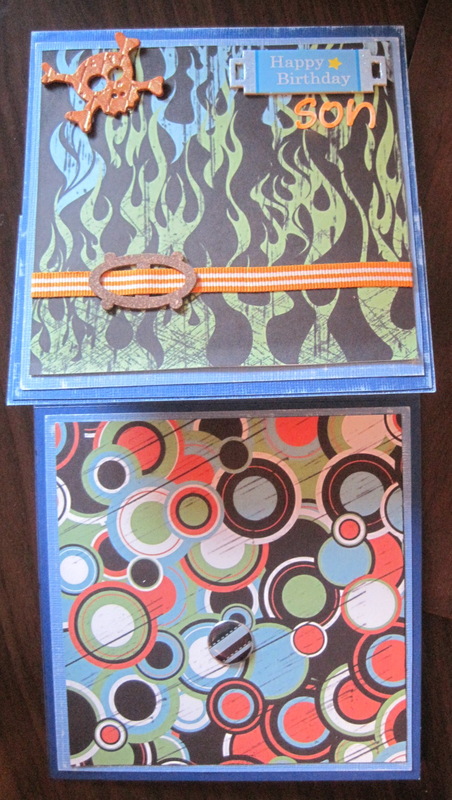 I just seemed to have a spate on and made about 10 cards. 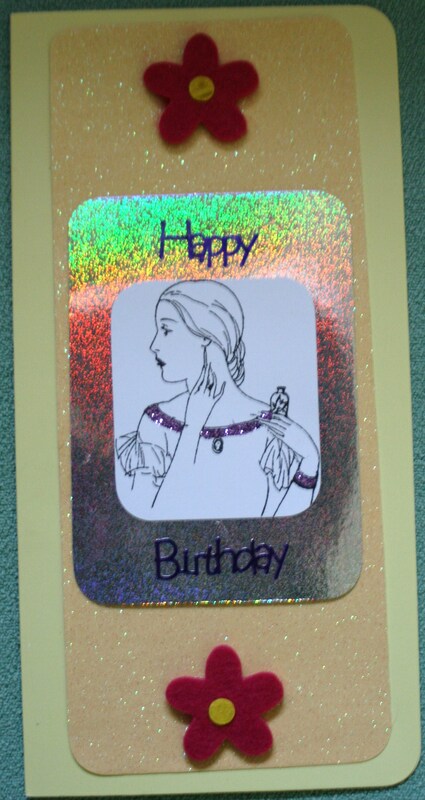 Anyway, I rounded the some of the corners of the base card,glitter & holographic mirror card. The picture is one froma sheet of images by Kanban I think. I just kept it simple by adding a little glitter. 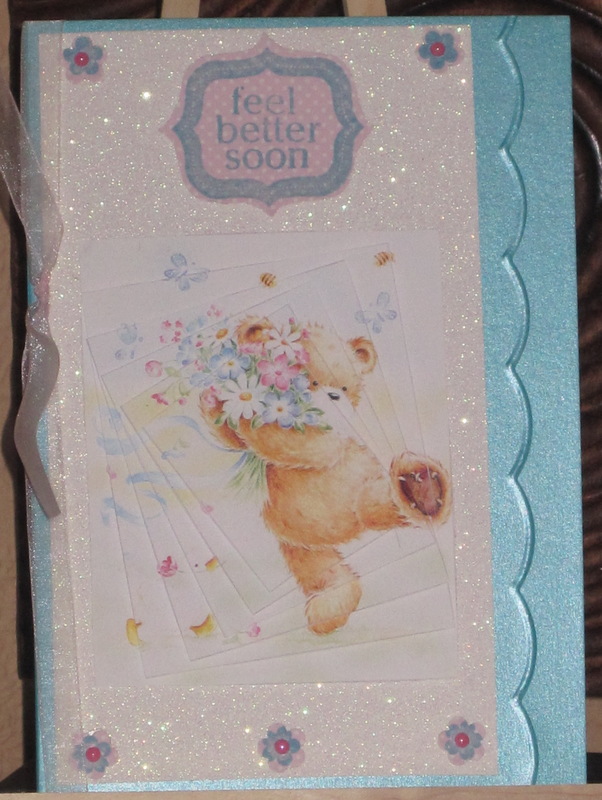 To finish it off I added felt flowers and a peel off sentiment. 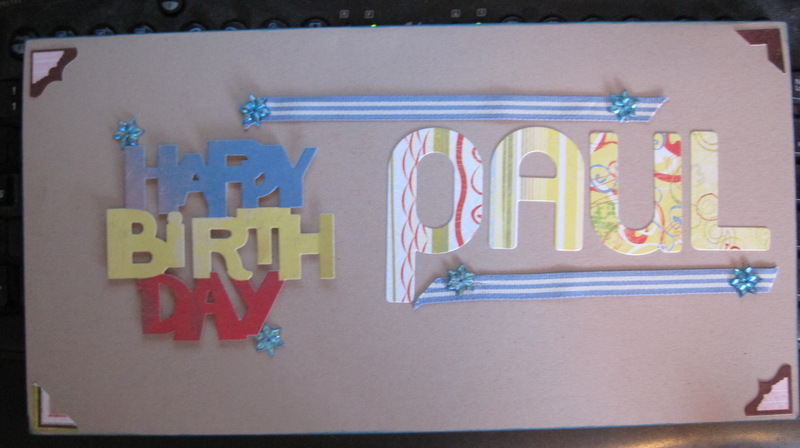 It’s a pretty simple card but I like it and havn’t given it to anyone yet. 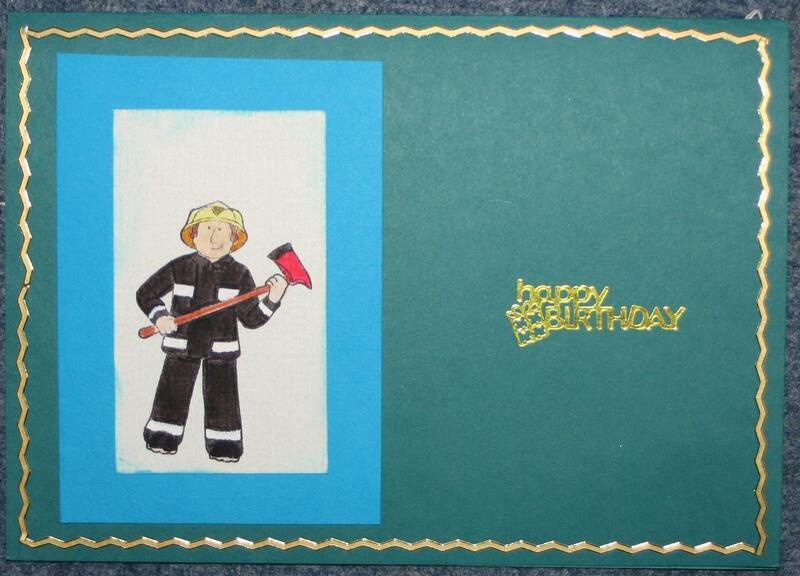 This is a card I made for my great-nephew for his birthday. I love the Jolly Nation charachters as they are so much fun. I know fireman have yellow/gold uniforms now but I coloured him in how I remember a fireman looked like.